Gluten Free Potato Pizza Crust! Ya you heard right, that's gluten free potato pizza crust. I've wrote this time and time again, Amanda's mother loves being creative and trying new things. 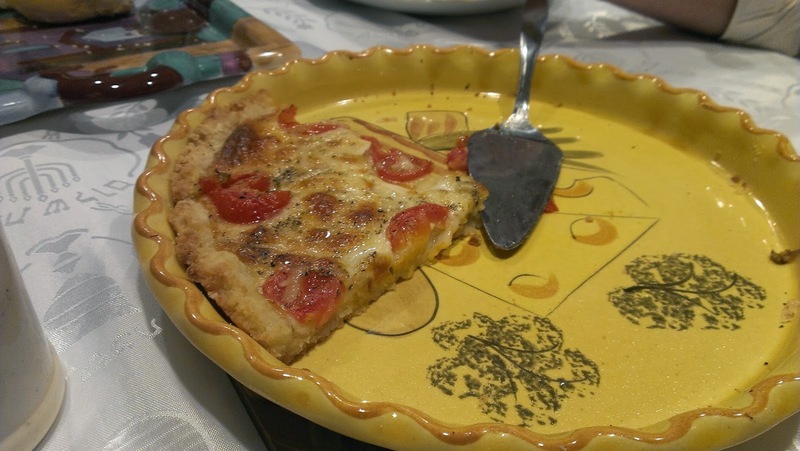 She came across a potato crust pizza from Lidia's Italy blog. The recipe was not naturally gluten free, because there was flour it, but Nancy just replaced the flour with Kinnikinnick's gluten free all purpose flour and presto! An interesting twist on an everyday recipe. Click here to read the directions on Lidia's blog. It's better you get it from her, rather than us.